There’s a movement underway to establish April 10 as “National Siblings Day”, which I wholeheartedly support! We celebrate mothers, fathers, grandparents – why not our brothers and sisters? As a child, my 8 brothers always had my back. In fact, to this day I have a sneaky suspicion that their ballot stuffing won me the coveted title of “Miss North Edison NJ Little League 1963” ( Trust me, as a young girl, I was anything but beauty queen material!) And they still have my back – emotionally and physically – even though we now live about 1,000 miles apart. 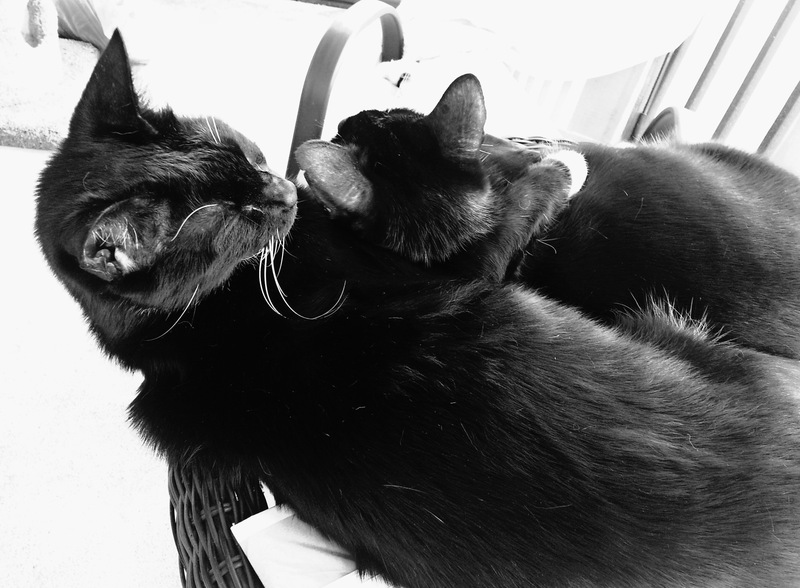 Maybe that’s why I love watching my two cats – brothers, rescued from the street. They groom each other, cuddle, chase each other around, and display occasional bouts of sibling rivalry. Frankie and Eddie relaxing on the “catio”. I also get a kick out of watching the sibling chicks on the nest, like these two cattle egrets. 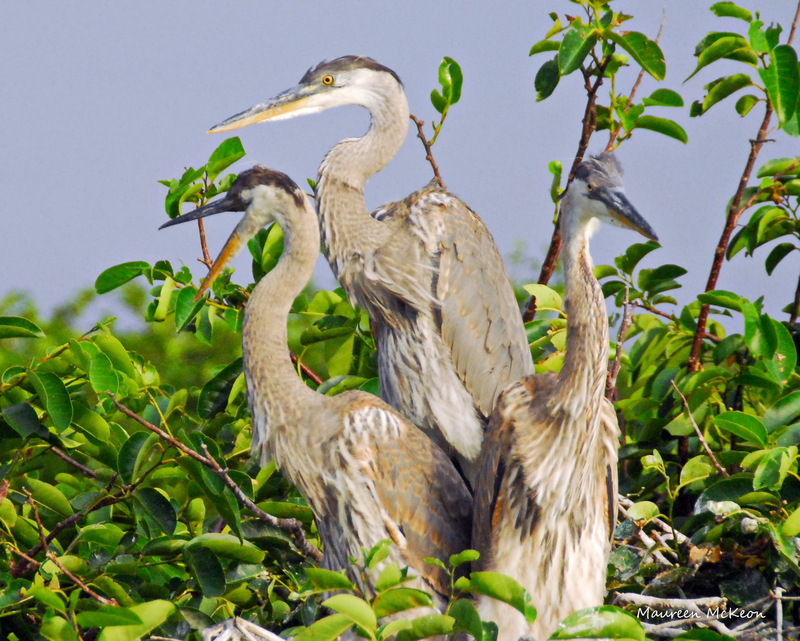 Young great blue heron siblings on the rookery tree. And these teeny common gallinule chicks, waiting for mama to return with dinner. 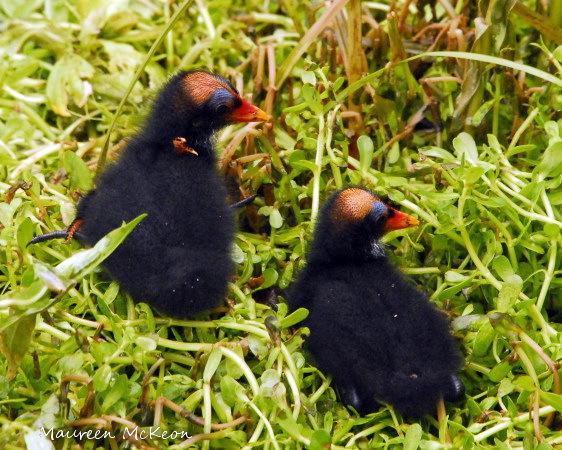 Baby common gallinule chicks waiting to be fed. So let’s hear it for our best friends, who know us and love us like nobody else on earth – our brothers and sisters! And don’t forget to mark Apri 10 on your 2014 calendars – let’s make it the official “National Siblings Day”. The Cattle Egret Chicks are wonderfully intense! 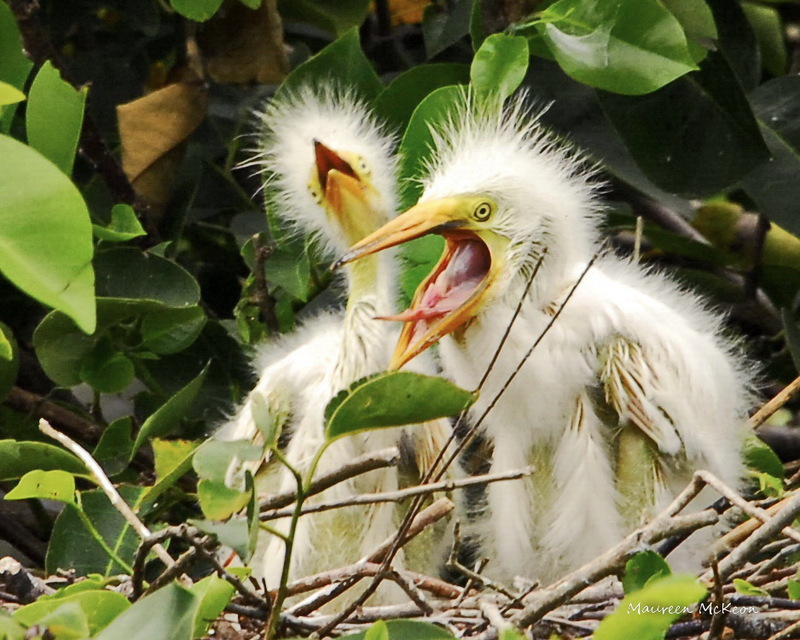 Yes, those cattle egret chicks have lots of personality!